Hi. 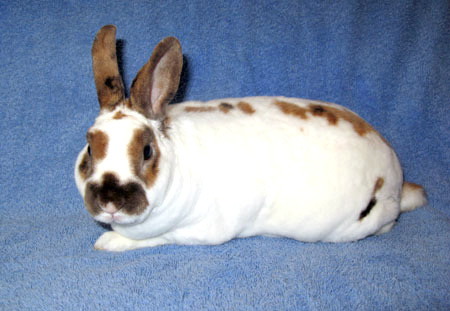 My name is Lucky Sparks and I am a very cute, little, neutered mini-rex boy. Being this cute is not easy work. I have to keep up appearances, so I dash around to play, stand on my hind legs, run over to say hello and basically do my best to make people fall in love with me. Whew! Good thing I also love to do binkies and bunny flops. So, what are you waiting for? Come meet me soon and let me be your little bunny boyfriend.